Co-owners Dave Oz and Michael Kaplan (Stone Street Coffee) might be meat obsessives. 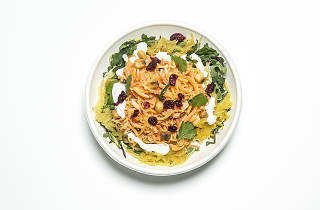 (Their midtown spot’s name refers to the utensils used to shred the slow-roasted pulled beef and chicken in its sandwiches.) 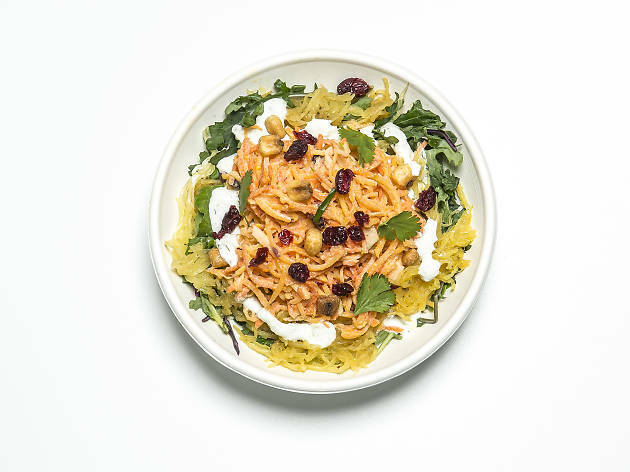 But lighter, more inventive options abound, too, like tzatziki-slathered spaghetti squash topped with apple-and-goat-cheese slaw ($8). As a first timer, it's a little intimidating as the lines are long during lunch and you're expected to know what you want. They have some stock offerings that you can choose off their menu to take the customization out of it but I like to explore and pick and choose, especially when they have all the ingredients and everything displayed in front of you. I like the option of getting your base as vegetables and not necessarily the heavy rice or quinoa. For fast-casual and a sub-$15 lunch, I would come back again.